Please contact us: By phone at 410-668-2757 from 3pm-9pm EST weekdays, or leave message. Or write us using the Form below. 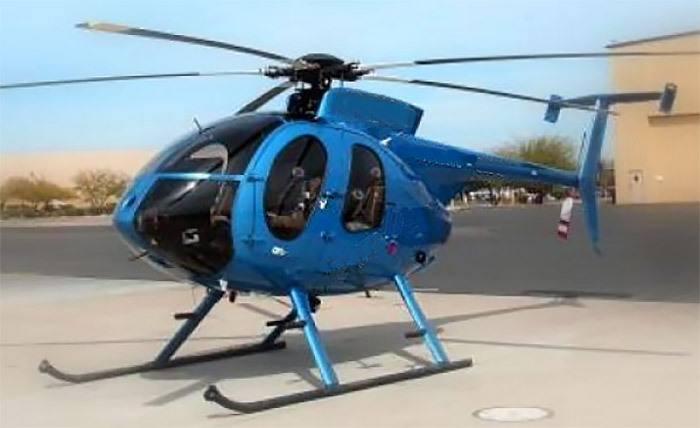 McDonnell Douglas MD530FF 5-Seat Helicopter—Like New! 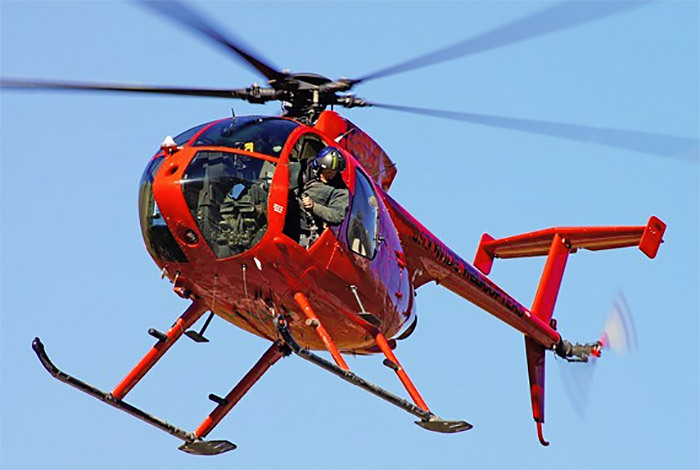 1994 McDonnell Douglas Model MD530FF helicopter. Please carefully read the following to see why this aircraft is such an extraordinary value. This MD530FF has only 50 hours TTSN and NO damage history. It is U.S. registered. After 50 hours, the engine was sent to Rolls Royce for their enhancement and surge kit upgrade certification program. The ship sat in the government's hanger until Rolls Royce completed the program a few years later. Although the government (its original owner) used some of this aircraft's parts in other MD530FFs, the enhanced engine was eventually reinstalled. With other parts missing, the helicopter went into storage. All time-life parts have been replaced with either new parts or zero-time overhauled parts. Only the engine, with 50 hrs TTSN, will have time registered, and it will have 0 time since enhancement and inspection. All engine accessories are zero time. All the windows are new. Delivery is 30 days plus 14 days for paint once a purchase agreement is in place. All transactions go through Ms. Debbie Mercer-Erwin, President, "Escrow Agent," Wright Brothers Aircraft Title Co., Oklahoma City, OK.
· Rolls Royce 250-C30 engine (enhanced compressor with surge protection with 50 hrs.TTSN. · Aircraft will be painted inside and out, the color to be designated by customer. *Be aware that the engine in this MD530FF is the Rolls-Royce 250-C30 gas turbine, with a rated power of 650 shp, 485 kw. Reasonable offers will be considered! Phone 410-668-2757 from 3pm-9pm EST weekdays, or leave message. To write us, please use the Form below.